Inserch has always been about style without showing off and their newest collection of short sleeve walking suits make it a valid point. The style that is created is made for the man who knows about dressing stylish and knows where he is going. 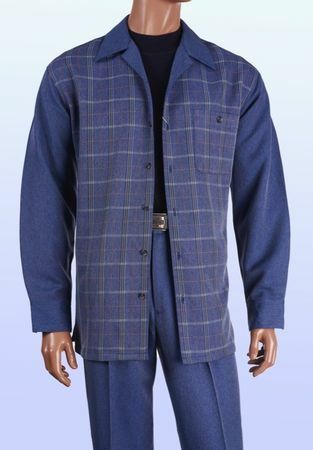 This denim blue color plaid walking suit features a stylish shirt with an open style collar to keep you cool and looking cool. The pants are pleated and it's all made of soft plaid fabric that mimics silk.